It was an important "prompt" in writing this letter to have had the benefit of the quote from Bob Avakian in issue #187 of the paper (and in going back and reviewing that whole essay in "Observations...")—to deeply reflect on how awe and wonder are "an essential quality of human beings. Human beings will always strive for this. Far from trying to suppress this, or failing to recognize it, we can and should and will give much fuller expression to it." In the history of the international communist movement (ICM), this understanding about human existence has not been given full expression in how we would and could lead the process that moves human society beyond the 4 alls. The lack of appreciating this aspect of human beings has contributed a great deal of mechanical materialism in handling the truly difficult contradiction between not leaving the world the way it is but yet not turning out the lights in our efforts to transform it (though I've not read the early Marx when, as I understand it, he had a great deal of humanism and not yet dialectical materialism). Nonetheless, we do need to lead a process where the whole society is overall characterized by the unleashing of imagination and curiosity and thirst for what's true and being amazed by all that. 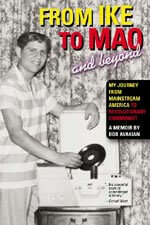 I've often thought of the point made in Sunsara Taylor's appreciation letter on the "main man" (Bob Avakian) and what she said about the intangibles that he embodies—how he has related to people throughout his life and what is expressed or concentrated about values and morality and the world we strive for. It harkens back to the point made in one of his talks about the good guys finishing first instead of the bourgeois view that good guys always finish last—akin to the quote from Engels at the end of "Harvest of Dragons" about maintaining our sense of purpose and sense of humor and realism as well as romanticism. He has consistently led with this and it is as lofty as it is inspiring and part of what is rare in this leader. In a discussion on this, the question was posed about why has there been a tendency for communists to "turn off the lights, the party's over." We talked about the intense necessity we face when we have power—linked to the fact that our trend being distinguished from others in not accepting the world as it is. The reality of the enormous pressures of all of it being on us when we have power—and in the middle of most likely a socialist state(s) being encircled on a world scale for some time, not to mention all the complexities of leading the socialist state(s) itself forward. Things like droughts and famines and other natural disasters add further dimensions to the pressure to meet the pressing needs of the masses we will be responsible for, which will probably be a greater aspect of any new DoP [dictatorship of the proletariat] given drastic environmental changes of our time. But all this raises again not only what state power is good for—but how the new synthesis has been hammering at the question of a state power that is worth having—keeping the eyes on the prize of a communist world. It is indeed very hard to handle this sharp contradiction correctly that is posed by the need to continually transform the world but doing so without turning out the lights. It is part of repeated willingness to go to the brink of being drawn and quartered but yet NOT ending up actually going over the brink (i.e., losing state power and/or our goal of a communist world). We have to do this by NOT having everything directly or tightly linked to production—but by allowing room for things like "pure research", "pure science" and "absolute music"—as part of "having big arms" that takes in all the different aspects of human existence. In relation to this, a UCLA student's comment in our paper about their building occupation recently captures something about this essential characteristic of humans. It is a window into what some of the advanced are thinking about the world. 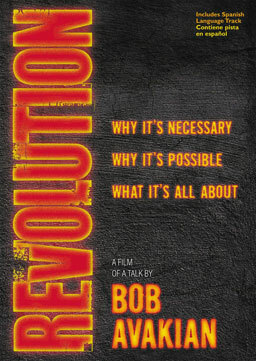 It also shows the potential attractive power of our project as re-envisioned by Bob Avakian for these educated youth now and needs to be connected with them. But more, it indicates what could be unleashed among such youth in the transition to communism—as one of the other unresolved contradictions, and its role as a driving force for revolution (along with the woman question, mental-manual contradiction, and internationalism). The student is quoted as saying that "capitalism in general takes the wonder out of life by placing everything in a utilitarian frame where everything has a practical use. It has to have practical use like a commodity. Everything is put into terms of a commodity that is worth a certain amount on a scale of value. For a lot of us, it takes away what is wondrous and joyful in this world and what provides mystery in this world." This captures something important related to the recent quote from our "main man" in our paper I referred to above—and the problem of our movement's previous tendency (in theory and practice) of too much "turning off the lights" which is an obstacle to getting to communism itself. After all, socialism cannot flourish, cannot be a radically new kind of state, if it meets the material needs of the people but by taking the joy and wonder out of life. It is thought provoking that this student identified the utilitarianism of capitalism (linked to commodity production and relations) as the source of taking away wonder, joy and mystery in the world. Until the rupture with it in the new synthesis, utilitarianism has been a sharp contradiction in the legacy of the ICM—and in part responsible for the tendency to "turn off the lights." Instead, we need to lead by actually turning on the lights of human imagination, curiosity, creativity, ingenuity as a critical component of ever more fully rupturing with economism—of being able to lead a process to emancipate all of humanity vs something short of that (which will end up worse than where we started, e.g., what's happened in the counter revolutions in China and Russia). How to lead society puts us to the test. All the pressures lends itself to going to what we know—pulls to circling the wagon and batten down the hatches in holding on to power but will lose it anyway. We can't just hold on to state power—will be difficult but has to conform to how the world and society actually is in reality instead of trying to make reality conform to our ideas. There has to be a lot of exploration and experimentation in realms such as arts and sciences for any society to flourish—with the dictatorship of the proletariat and communism giving much greater flight to human imagination and creativity than previous societies ever did or could if it is truly revolutionary and revolutionizing all aspects of life, including but not restricted to, or constricted by, production to meet the needs of society (material as well as "spiritual" or intellectual and intangibles). There has been (and is) still a lot of mechanical materialism in the ICM that constricts and restricts communism to certain spheres—even if it's not just the most narrow interpretation of "labor becoming life's prime want" but reifying the production and producers of the material necessities of life, or restricting things to the political sphere/struggle (as crucial as this is in taking and holding on to power) but not enough placed on the intellectual, cultural, and emotional development of human existence—those intangibles that are in fact "essential qualities of human beings." 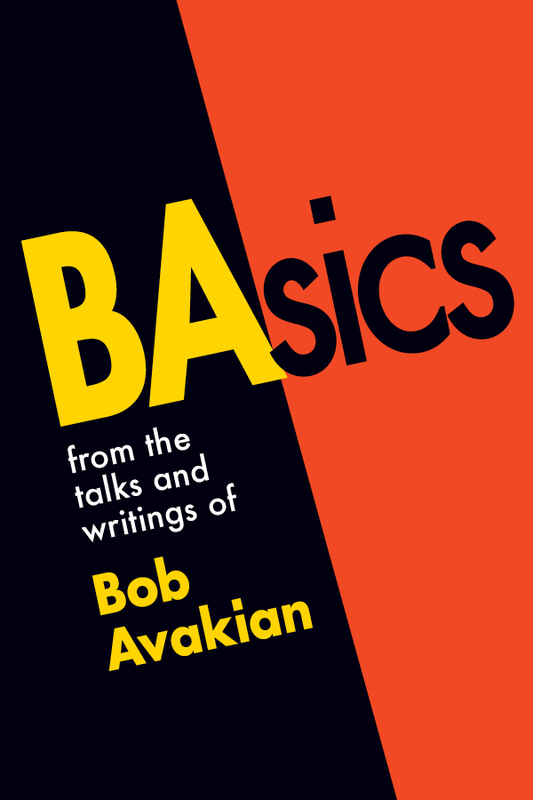 Bob Avakian’s new synthesis is a rupture from that legacy of the ICM and is part of how I understand why it gives hope and daring on a scientific (materialist) foundation. The '60s upsurge gave a glimpse to some of this kind of potential—a lot of exploration and experimentation in all kinds of spheres. It was both a product of, and a catalyst for, a vibrant revolutionary youth movement of that time (as it will be in any revolution). The question of morality and culture were central to how the youth of all strata were inspired and entered the fight for another future. E.g., the "flower child" genre of music had a lot of interesting shoots—much of which dead-ended after the '60s but some of it further flowered into lasting tracks for future generations of rebels. What developed in the arts internationally (e.g. films, music, literature, etc) was unprecedented in many ways, including in regards to love. Maybe because previous socialist revolutions have come out of semi-feudal societies, or maybe because our movement itself has not made enough of a theoretical (and therefore practical) rupture with the patriarchy in terms of what [[Avakian]] speaks to in the latest talk about 100 years between Engels’ "Origin..." and Skybreak's "Primeval Steps..."—but there has been no small amount of puritanical tendencies in the history of the ICM in regards to human, especially female, sexuality. Maybe that's partly responsible for the lack of love songs or other artistic works about love in the ICM? Communism is a society where people voluntarily and consciously work for the common good. IF we try to manage/suppress contradictions, it will work against getting to communism. To see contradictions (i.e., unevenness in nature and society) as driving forces for change is to face objective reality as it exists—full of motion that can go in a variety of direction, and with a multitude of dimensions—and more keenly poses the possibilities of leading a process that can get over the two humps and reach our goal without "turning off the lights."